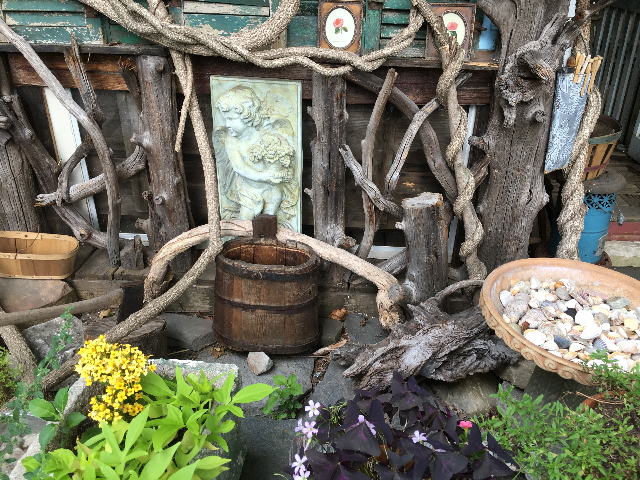 Berkshire county, home of Tanglewood, the Clark Museum, Jacob’s Pillow, Barrington Stage, the Norman Rockwell Museum and so much more, is not home to a large number of restaurants that consistently have the ambiance and top quality food that draw like a magnet. More to the point: Yesterday, I discovered a restaurant that meets the criteria necessary for success. The name of the restaurant is ‘Pleasant & Main’, and is located in the hamlet of Housatonic, a small town off the busy highway, in-between Stockbridge and Great Barrington, Massachusetts. 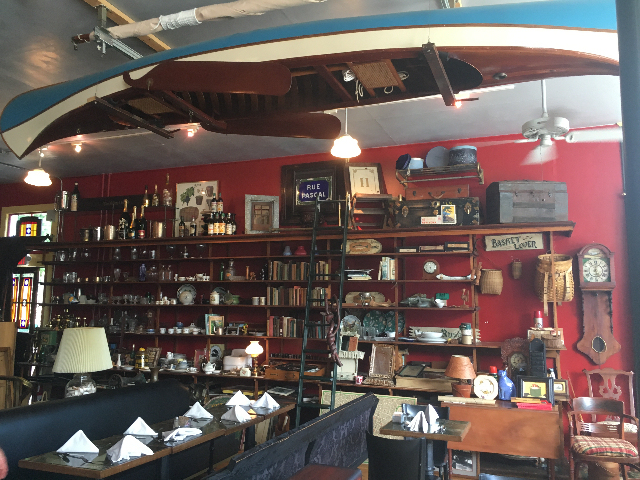 Located on the corner of, you guessed it, Pleasant and Main Street, this handsome restaurant is tucked away from the necessary vehicular and foot traffic that help create recognition. 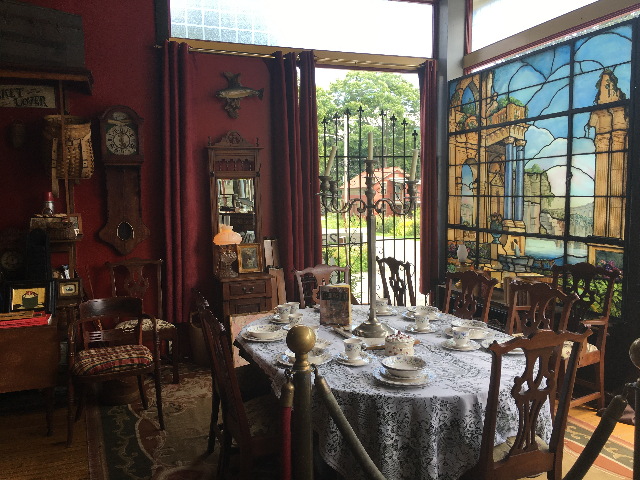 The restaurant occupies a beautiful building, with large plate glass windows housing the dining area and what many would call, an antique collection inside the restaurant that rivals the numerous antique shops in the county. Inside, you feel like that you are transformed into another era. Antique tea sets, china, and silver cutlery make this gem a diamond in the rough. Craig, the owner and chef greeted us and handed us menus. On its sleeve was the history of the building, with the large breakfast/brunch/lunch menu attached. As the ambiance of the ‘set in time’ restaurant took over, so did the list of food options for our meal. 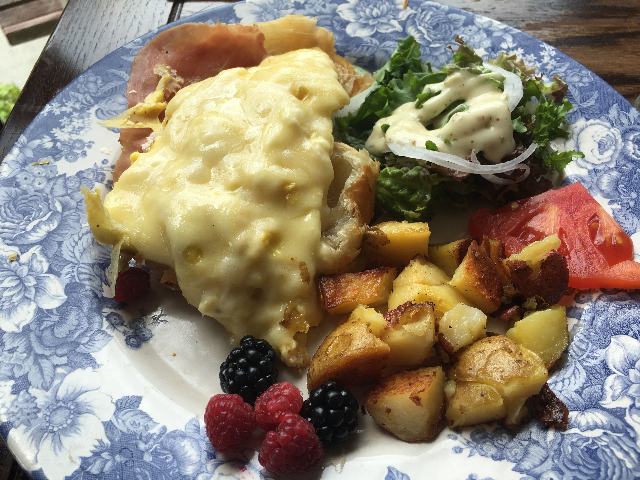 Should I have a savory crepe with ratatouille ($8.50), a spinach and goat cheese crepe ($9.00) or a chicken breast and sautéed seasonal vegetables ($9.50) or a Greek yogurt parfait ($7.50), Eggs Benedict (ham) ($10.50) , eggs Florentine (spinach) ($10.50) or an open face breakfast homemade croissant with scrambled eggs, country ham and gruyere ($7.50). Of course the sweet dessert crepes with Nutella, bananas and whipped cream ($6.50) or homemade crumble ($6.50) looked appetizing. If not breakfast, the lunch menu, looked equally appealing: bistro style Croque Monsieur, with grilled ham and swiss cheese ($10.00), fresh beer battered loin of cod, coleslaw, tartar sauce and potatoes ($10.95) or a grilled chicken spinach salad with dried cranberries, walnuts and blue cheese ($10.95). As you can see, the menu is flexible and affordable. 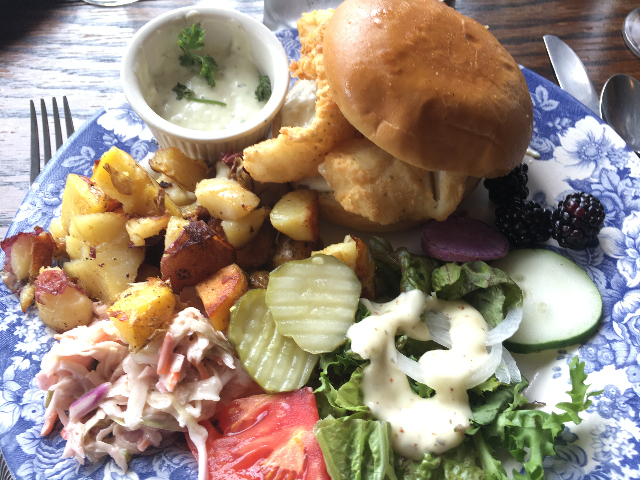 We had the Eggs Benedict and the Fresh beer-battered loin of cod, with tartar sauce, coleslaw, which I added to the sandwich and homemade grilled potatoes. It was ‘love at first bite.’ We struck gold as these courses were served eloquently on china and were laid out on the plate, as if food were art. A second test will follow, as Chef Craig handed me the monthly dinner menu, which was printed on the old Snyder’s Store stationary (maybe one of the first occupants of the building) on old bond paper from Rising Mill of Housationic. 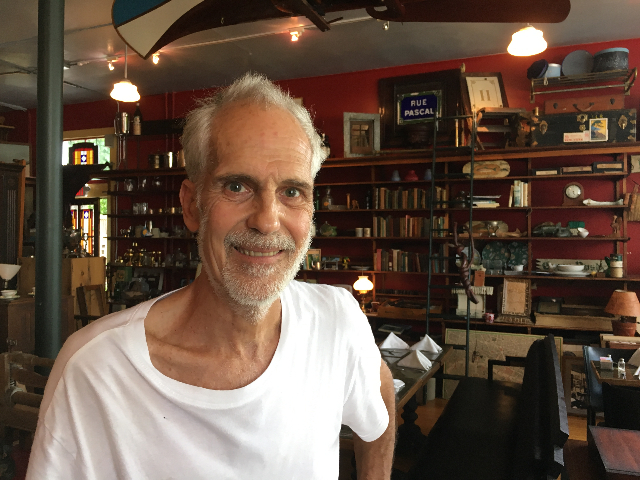 Pleasant & Main inhabits the same space as Jack’s Restaurant once was—which was named after Jack Fitzpatrick, founder with his wife, Jane , of Country Curtains and owner of The Red Lion Inn and other leading properties. Located a few blocks off of Route 183 in Housatonic, Pleasant & Main is easy to find at 1063 Main Street. Your GPS or WAZE will easily find this location. Call the restaurant at (413) 274-6303 to make reservations or email them at: pleasantandmain@gmail.com . They are Open from 8am-8pm on Tuesday through Friday, 8:30am-8pm on Saturday and 8:30am-3pm on Sunday. Chef Craig uses local products and supports the community. Even, for a wine guy, like me, the restaurant does not have a liquor license—but, with such good food, who really cares?